This story originally aired on January 6, 2012. What’s a tiny habit? Fogg demonstrates by picking up his ukulele and playing for 30 seconds. “I used to play ukulele a lot. But I stopped practicing for a while so to get back into it I thought I’m going to create a tiny habit of just practicing this cord sequence,” he says. Thirty seconds doesn’t seem like much when you compare it to goals like getting in shape or eating better. But these broad ideas are where Fogg says most people get into trouble. “What a mistake – the whole idea around New Year’s resolutions. People aren’t picking specific behaviors, they’re picking abstractions,” he says. Abstract goals don’t work, says Fogg, when they aren’t tied to specific behaviors. And to retain new behavior, he says it needs to be instinctual. The more you have to remember to do something, the better the chances are that you’ll talk yourself out of it. “The strength of a habit is defined, at least the way I see it, is how much of a decision was that behavior. So if you’re deciding ‘yeah, I’m going to go to the gym today’ it’s a pretty good indication it’s not a habit. Habits are things you do without deciding,” says Fogg. Classic behavior models focus on decision-making as a key component of behavior. Fogg is trying to get away from that by working on a new model of habit formation that’s built on baby steps. Take something like flossing your teeth. Instead of trying to floss all your teeth every day, Fogg says start with flossing just one tooth. And once the habit is formed, Fogg says you’ll find yourself flossing all your teeth. That’s a theory he’s testing out, at least, with several hundred volunteers. Fogg put out a call on twitter, asking participants to do three tiny habits for a week. One of those people is Charles Wang, a psychiatrist in Palo Alto, who picked flossing as one of his habits. “So right now I’m probably doing on average six or seven teeth, I think,” he says. Fogg is eager to see if a person’s habit-making ability improves with every new one they make. And he believes understanding habit formation better is vital to industries like medicine and healthcare. I disagree – my abstract resolutions have often had successful results with me. Maybe its my personality or maybe my determination? Or maybe even my methods. I feel very unaccomplished when completing tiny habits – I really doubt that system would work for me. After brushing one tooth I believe I would feel rather pathetic. Dog trainers like myself know this well (although sometimes it’s hard to step back and consciously apply the techniques to ourselves, or the human children we’re raising, too). We say, “Be a splitter, not a lumper” in terms of splitting a significant behavior change goal into a series of near-insignificant, achievable goals. This allows for a high rate of reinforcement. One quibble, though – habits are not instincts; no matter how well conditioned the term “instinctual” should not apply. “Habitual” certainly does! You could also use “without thinking”, “unconsciously”, or “as a conditioned response”. 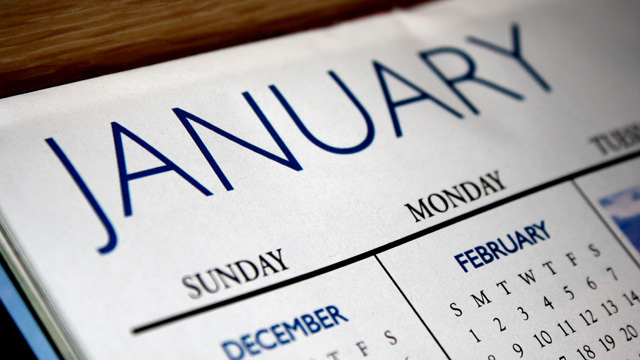 Tis the season for the ultimate test: sticking to your New Year’s resolutions. We’ve all made them at one point or another — whether it is sticking to a diet or pledging to end procrastination. According to The Wall Street Journal, the most popular of them all is losing weight. As students frequent the Aquatic and Fitness Center, researchers have discovered scientific benefits to exercise which may provide reluctant gym goers with that bit of motivation they may be lacking. Published earlier this month in the journal Nature, a study from researchers from the Dana-Farber Cancer Institute and Harvard Medical School examines the effect of exercise on a more cellular level. The researchers discovered a new hormone produced in response to exercise which turns white fat into brown fat, also known as the “good fat.” Brown fat cells burn calories by using energy, while white fat cells are inert storage rooms for fat. never lasted more than a few weeks.